New federal legislation restoring the tax man’s audit powers could follow the Supreme Court’s invalidation of provisions that purported to compel lawyers and notaries to disclose information to the Canada Revenue Agency (CRA), including their accounting records and clients’ names. On June 3, seven judges of the Supreme Court of Canada unanimously declared unconstitutional — as against notaries and lawyers in their capacity as legal advisers — CRA’s sweeping regulatory power, pursuant to ss. 231.2(1) and 231.7 of the Income Tax Act (ITA), to require “any person” to provide information or documents for any purpose related to the administration of the ITA (the “requirement scheme”): Canada (A.G.) v. Chambre des notaires du Québec 2016 SCC 20. The judges also ruled unanimously that s. 232(1) of the ITA — which purports to exclude the accounting records of lawyers and notaries from the shield of “solicitor-client privilege” (as that term had been narrowly defined by the ITA for the past 51 years), is invalid on the same basis as is the requirement scheme — namely because it permits Ottawa to obtain information that would otherwise be privileged to a far greater extent than is “absolutely necessary” for the ITA’s administration and thus is an unjustified violation of the Charter’s s. 8 prohibition against unreasonable search and seizure. Feder, who successfully represented the respondent lawyer, Duncan Thompson, in the companion case of Canada (National Revenue) v. Thompson 2016 SCC 21, anticipates Ottawa will respond with legislation to revive, at least in part, the CRA’s powers to audit legal advisers. “I don’t think they want to create a lacuna for, for example, [tax] enforcement actions against lawyers,” he observed. However, as the court emphasizes in Thompson, any such legislation must include effective safeguards for solicitor-client-privileged information. John B. Laskin of Toronto’s Torys, counsel for the Federation of Law Societies of Canada which intervened in both CRA appeals, called the judgments “a very important chapter in the development of protections” for solicitor-client privilege, which is known as “professional secrecy” under Quebec law. 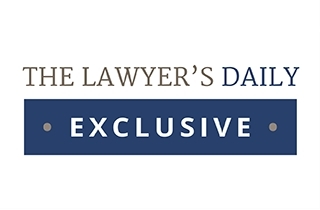 The judges “make it clear that solicitor-client privilege applies with full force, regardless of the nature of the legal advice being sought, or the context in which it is sought…whether it’s a regulatory, a civil or a criminal context,” Laskin explained. “These rulings will be precedential far beyond the income tax area and will apply to all regulators who seek to trespass onto the privilege by using lawyers to obtain information about their clients,” agreed Mahmud Jamal of Toronto’s Osler Hoskin & Harcourt, counsel for the intervener Canadian Bar Association. CRA spokesman David Walters noted by e-mail the CRA “is responsible for ensuring that all taxpayers comply with Canada’s tax laws.” The agency is reviewing the rulings to evaluate their impact “on its operations and determine next steps,” he said. University of Ottawa tax law professor Vern Krishna, of Toronto’s TaxChambers LLP, welcomed the shrinking of overbroad ITA audit powers in the face of solicitor-client privilege — an evidentiary rule which the Supreme Court has elevated to constitutional principle in the decades since the impugned ITA provisions were first enacted. “It curtails, in an important way, the access to information that the minister has traditionally enjoyed because…Parliament has legislated giving the [revenue] minister virtually unlimited access powers to information,” Krishna said. Dodek noted by e-mail that the decisions confirm, and consolidate, previous jurisprudence about solicitor-client privilege, rather than breaking new ground. 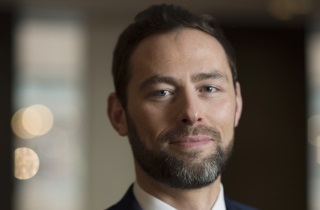 The cases, including constitutional attacks on the ITA provisions, were launched separately by the Chambre des notaires du Québec and Thompson, an Alberta lawyer. In connection with an audit and tax enforcement action against Thompson, the CRA sent him a requirement under the ITA’s s. 231.2(1), demanding personal financial documents, as well as his current accounts receivable listing. Thompson supplied general information about how much his clients owed but, claiming solicitor-client privilege, declined to give more details about his accounts receivable, such as his clients’ names. In the Chambre’s case, the minister of National Revenue demanded that some notaries in Quebec provide documents or information relating to their clients, for tax collection or audits with respect to those clients. Supported by the Barreau du Québec, the Chambre convinced the Quebec courts below that the information requirement scheme and the accounting records exception from solicitor-client privilege, were both unconstitutional and of no force or effect against Quebec notaries or lawyers with respect to all information and documents protected by professional secrecy. The Supreme Court agreed, in a ruling applicable to legal advisers country-wide. Nor could the s. 8 breach be upheld as reasonable and demonstrably justified in a free and democratic society, because the impugned provisions did not minimally impair the right to professional secrecy, Justices Gascon and Wagner held.